Port Colts have pathways for our girls and women from dedicated Girls Auskick, U10s, U12s, U14s, U16s,Youth Girls, Womens Development & Premier League. We have three former Port Colts junior players and Women who already play in the Women's AFL. 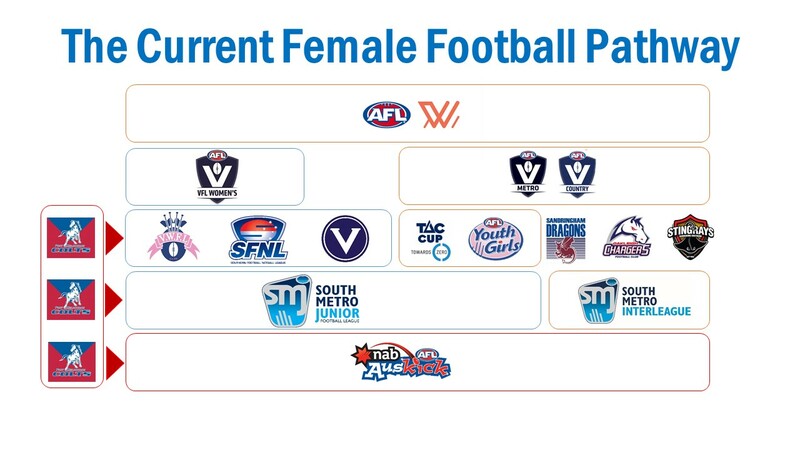 Our Port Colts Girls participate in the talent pathways and our goal is to ensure each of our girls enjoy their footy and acheive their personal and team goals, whatever they may be.